This book is not meant to be a definitive exploration of the whole of the two churches in any case. The attempt would be absurd. But the book is not meant, either, to be an intense exploration of "certain aspects" of the two churches. It is meant rather to be an extended essay about the connected differences between the two churches, to use "aspects" as touchstones for comparison. It is meant to be a comparison of two total styles. These are not architectural styles, although there is a marked and significant difference between English and Italian ecclesiastical architecture in the thirteenth century. The nonarchitectural style of the thirteenth-century Italian church might in fact be called sustained Romanesque, or perhaps sustained Burgundian. Comparing England (or Britain) with Italy in order to expose more fully one or both is not a new idea. Historians, like Tacitus and Collingwood, have made the comparison, and so have poets, like Browning and, with superb intellectuality, Clough. This is, at least locally, where angels feared to tread. The famous Venetian Anonymous wrote from the other side in his Relation (of about 1500), and condensed for us his comparison in the observation that unlike the Italians the English felt no real love, only lust. The spring bough and the melon-flower, Collingwood's city and field-the long continuity of the difference is startlingly apparent. Explaining the continuity (and perhaps there is no more difficult sort of historical explanation-its difficulty is painful to the mind) is not the job that this book sets itself. But it would be dull and dishonest to ignore the fact that the continuity exists. All that this book has to say may be no more than that the thirteenthcentury Italian church was in fact, as Browning warned, a melon-flower. The book may be only a gloss on amore. The symbol is more inclusive, more evocative, less guilty of excluding the essential but undefined, than detailed description can be. Melon-flower and amore, however, fortunately for the purpose of this book, say very little about the intricate, connected detail of administrative history. Collingwood's (after Tacitus's) city against field presses less deeply but says more. The general difference between the styles of the English and Italian churches has a great deal to do, and very directly, with the fact that the inhabitants of Italy were continually city-dwellers and the inhabitants of Britain were essentially not. Although this book is about both England and Italy, it approaches them differently. The thirteenth-century Italian church is, particularly in English and French, practically unknown. Before it can be explained or analyzed, it must be recreated, formed again in detail. The job is in part really archaeological. The outline of past existence must be uncovered. This is not at all true of the thirteenth-century English church. It has been well explored. 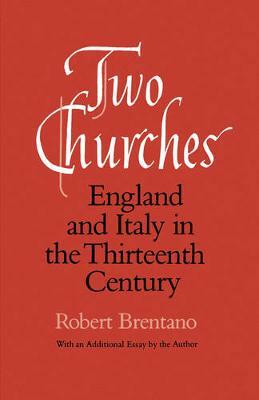 This disparity in past observation forces my book to talk much more of Italy than of England; but, if it is a book about one church rather than the other, it is a book about England. England is meant to be seen, for a change, against what it was not. In this sort of profile it has a different look. England may no longer seem a country in the frozen North, incapable, in the distance, of responding fully to Lateran enthusiasm. Its full response to ecclesiastical government may seem clearly connected with its, of course relatively, full response to secular government.